Being an avid Club Med fan, I knew that I had to visit Club Med’s first resort in China. And that I did, within a week of the resort’s opening in November 2010. I also took advantage of the resort’s opening promotion, and enjoyed discounted rates for my stay there. To get to the resort, we had to take a flight from Singapore to Beijing, then a domestic flight from Beijing to Harbin. The resort is actually a four-hour drive from Harbin airport, in Yabuli, Heilongjiang province. We arranged our flight transfers by ourselves but had Club Med arrange the pick-up from the airport. The drive from the airport was pretty smooth with broad highway roads. The winter landscapes along the way made me feel l was in Switzerland instead of in China, as the fields were blanketed in a thick layer of snow and there were many huts interspersed along the route to Yabuli. Scenery along the journey to Yabuli! 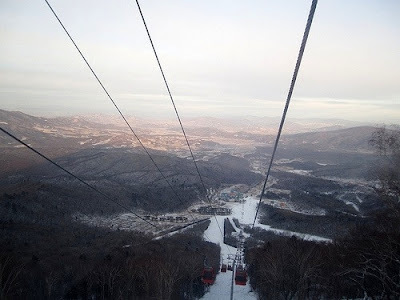 Though it was a long drive to Yabuli, the sight of the resort that greeted us made us forget about the journey. It was definitely worth the drive there. 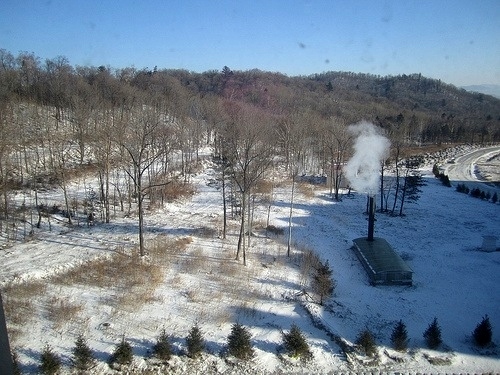 The resort was nestled in slight valley with ski slopes surrounding it. There was a very chateau-like feeling for the first Club Med resort in China. We were indeed looking forward to spending the next 5 days skiing, eating and having fun at the resort. The resort was well heated, so we did not have to layer our clothing whilst walking around indoors. The rooms were spacious and we had a fantastic view of the slopes that was to be our playground for the next few days. The afternoon we arrived was spent exploring the hotel and its facilities. 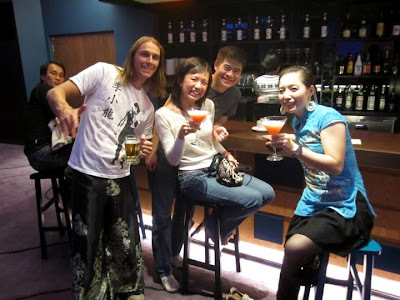 We checked out the different eating outlets, one catering to Chinese cuisine and another for the Western cuisine. These restaurants were popular and one had to book in advance to guarantee seating, as we found out to our dismay since we only got to try the Chinese restaurant while we were there. The main dining hall was where we socialized the most, as the GOs (Gracious Organisers) would come and interact with the guests at every meal. The international buffet spread did not disappoint. There was the usual wide selection of cheese and desserts. It got dark pretty early as it was winter. Dinner was served earlier too at 6pm instead of the usual 7pm. The food there changed daily while we were there and they offered both Western and Asian cuisine (Japanese, Korean and Chinese). For each meal, we always had different GOs sitting with us to introduce themselves and chatting with us, making us feel welcomed. It was also a great way for the GOs to “advertise” their responsibilities, be it a ski instructor, land sports coordinator or the bartender! Ah! 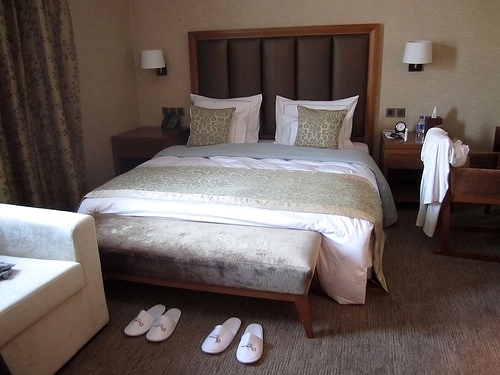 Spacious and comfortable accommodation. 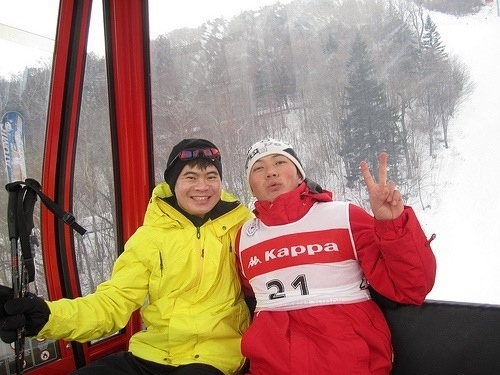 Being a winter resort, snow activities like skiing and snowboarding were the main activities. Free group lessons were provided at all skill levels. Fees were chargeable if you wanted individual lessons. 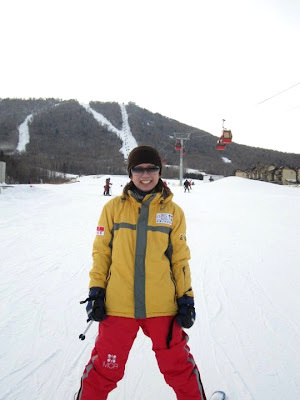 Rental of ski attire and equipment were chargeable too. As we were new to snow activities, we had to make the difficult decision as to which sport to learn during our stay there. 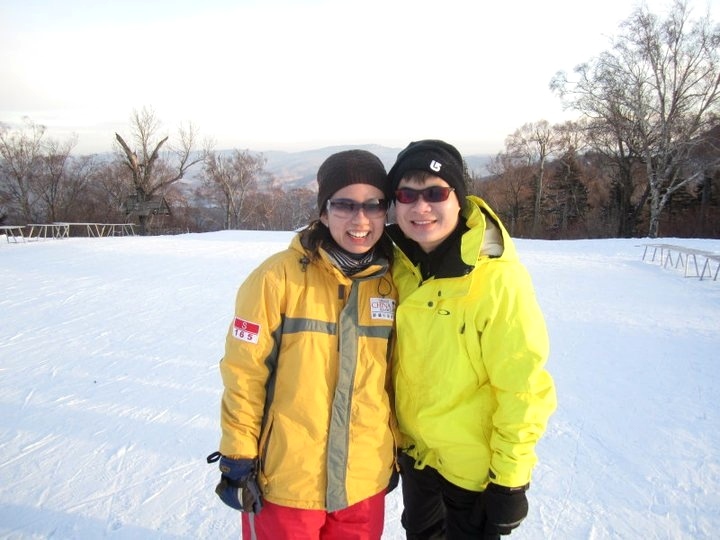 Both skiing and snowboarding lessons were available and equally attractive to beginners like us. We had to sign up the day before for the ski lessons. Class sizes were capped at 10. Guests with kids need not worry as they also have lessons for the little tots. They had a section cordoned off for the children where they were able to learn safely and in a fun manner. 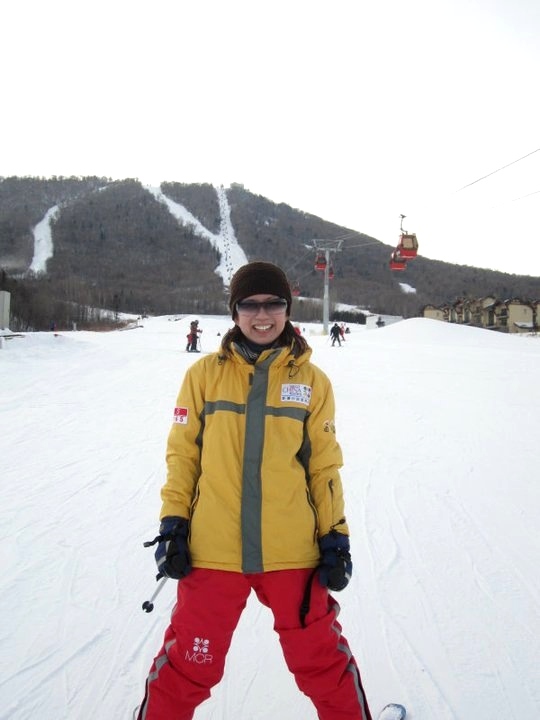 All suited up and ready to ski! On the first day of lessons, we were warmly welcomed by the GO and introduced to our instructor, who is a local resident of Yabuli. 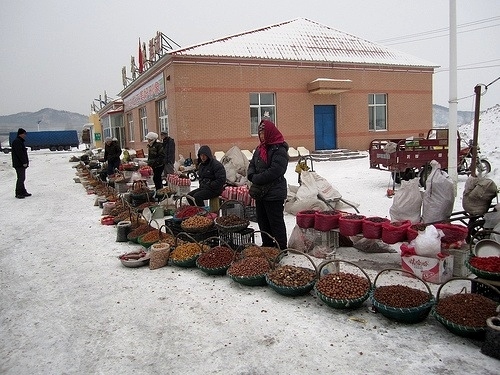 Most, if not all, of the instructors originate from the villages around Yabuli. They were very professional and highly knowledgeable of the ski slopes, having grown up in the area. Most importantly, they were friendly and made the ski lessons enjoyable, despite the many spills and falls in our beginner class. During the first few hours, we were wobbly and spent a fair bit of time on our butts! However, we soon started to grasp the fundamentals of skiing and became more stable with our skis. We began taking advantage of the magic carpets, which were located throughout the lower slopes to practice our skiing. The wind in your face as you gained speed down a slope was just exhilarating and you quickly forget the morning difficulties learning to balance on skis. We managed to progress from the beginner to the Intermediate 1 level during our five-night stay at the resort. We took skiing lessons daily in the morning, stopped for lunch, then eagerly clipped on our skis again for the afternoon session. One of the highlights that we looked forward to daily at Yabuli was that during the breaks, we would make our way indoors for a hot cup of soya bean milk, which was uniquely Asian, instead of hot chocolate! Skiing did burn a lot of calories and we were always hungry after each lesson. A point to note for those who want to lose weight healthily and have lots of fun at the same time! Up, up and away in a gondola! En route up the peak. As we progressed to the intermediate level, we could take the gondolas half-way up the ski slope and make our way down from there. For the intermediate level, we had longer and steeper ski runs with which we could practice what had been taught in the beginner level, and also gained more confidence in tackling more difficult slopes. The gondolas were newly installed for the 2009 Winter Universiade, where Yabuli was the official site for the snow disciplines. 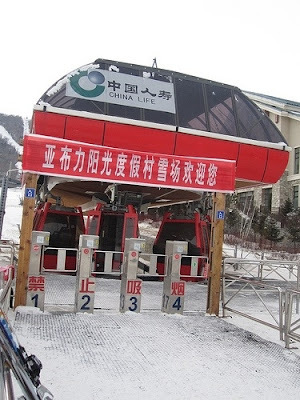 Those bright red capsules were definitely more welcoming than ski lifts, as they were not exposed to the elements, especially the strong winds swaying the gondola as it moved up the mountain. 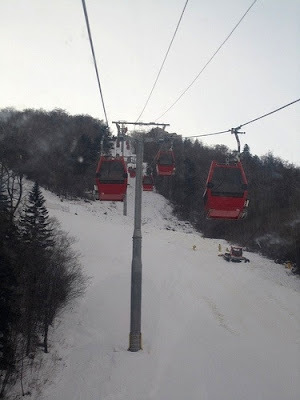 Once, we took the gondola up to the crest of the mountain to take in the scenery. The ride up was spectacular. As we moved further away from the main village up the slope, we could see the surrounding countryside with its quaint villages, complete with smoking chimneys. At the peak, we got off and snapped quite a few photographs, and it was a sight to behold. The sun was setting and it cast a beautiful glow over the valley. We even made our snow angels in the pristine snow! 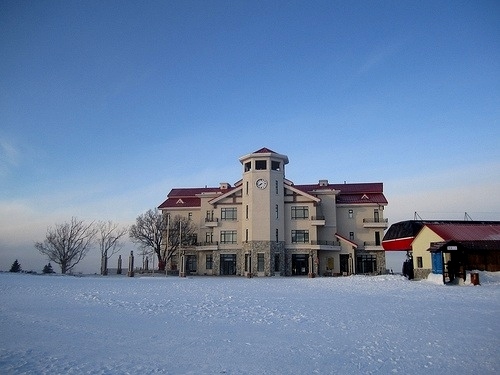 Even though it was early winter, there was already a lot of snow. It also snowed heavily during one of the nights, and we could not see beyond the snow flurries outside our window. The next morning, we experienced the magical feeling of seeing everything covered in soft snow. 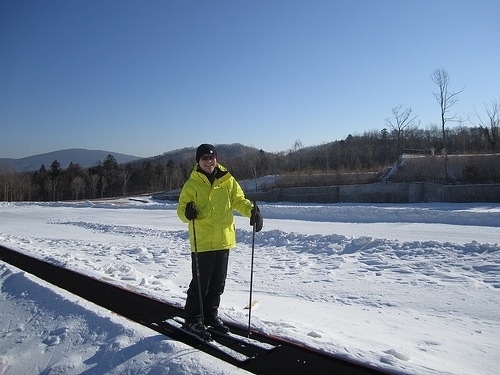 Despite Club Med Yabuli being a winter destination, there were also other indoor activities that one could try. 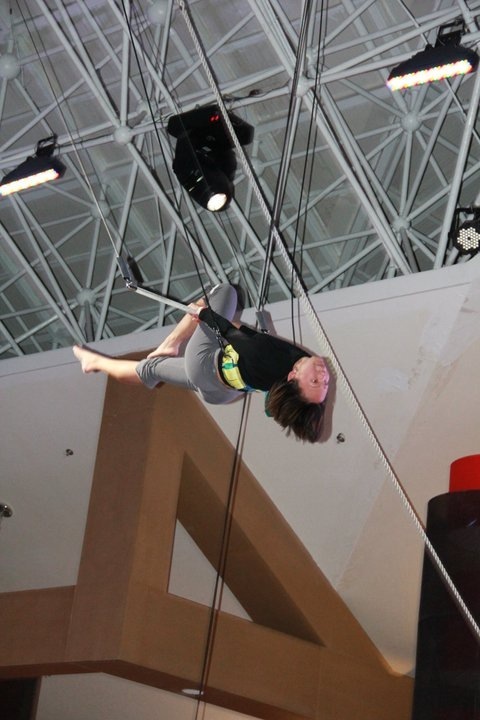 Yabuli boasts the first indoor trapeze for a Club Med resort. 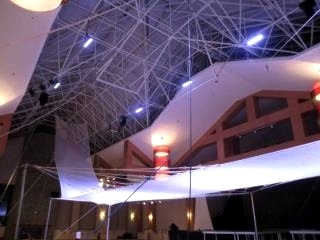 The trapeze was collapsible as well so that the space can be freed up for performances. We planned our schedule so that every day, after our skiing lesson, we would rush to change out of our ski clothes and head to the trapeze. I am a big fan of the trapeze and have been doing it since my teens. It was great not to be subjected to the elements – I was at Club Med Phuket once during the rainy season and did not manage to get on the trapeze during the whole time I was there! The Circus Team GOs were friendly and approachable as always. I had great fun on the trapeze and managed to learn new tricks. While we were there, the Circus Team GOs put up their inaugural performance. We were kept enthralled and entertained for the show, holding our breaths when a complicated move was about to be executed and clapping loudly when the show was over. This move is a breeze! We did not have to worry about being bored after dinner as there was the nightly entertainment show put up by the GOs. There were comedy skits, talent shows and interactive games like doing the Limbo Rock. Guest would be invited onto stage and perform with the GOs in the name of good fun. The GOs were also very friendly and we chatted and had drinks with them after the performances. We had a great time there and even exchanged contacts with some of the GOs to keep in touch before we left the resort. I will definitely recommend the resort as a value-for-money ski holiday. Many thanks to Eugene and Genevieve for sharing their wonderful experiences at Club Med Yabuli!